BareMinerals are mostly known for their mineral foundation and eyeshadows, and of course everyone is currently loving the Ready collection bareMinerals came out with this month! 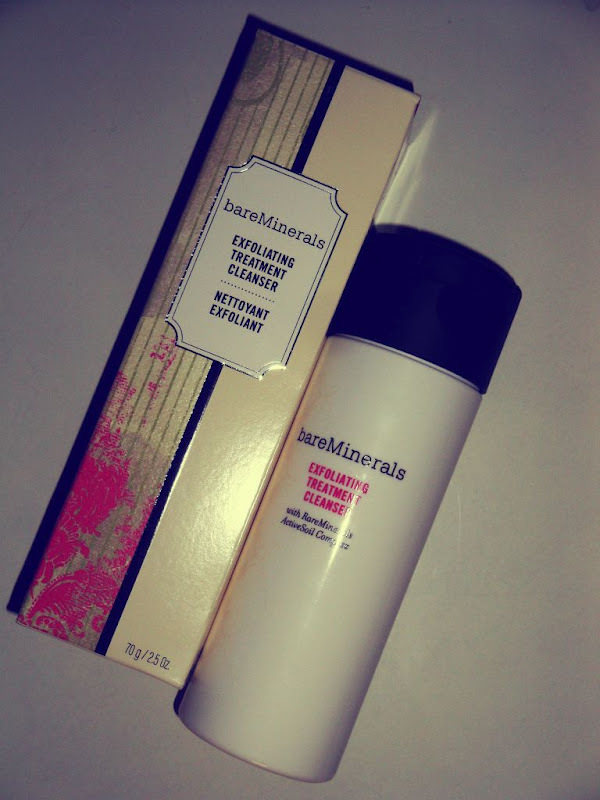 Read more: bareMinerals Ready... and bareMinerals Ready The Soundtrack Quad... But I only now realised that their skincare range is pretty impressive too! This Exfoliating Treatment Cleanser has no parabens, no synthetic fragrances, and no artificial oils! Having an oily to combination skin type which is also acne prone I have to look after my skin and use gentle exfoliators on a regular basis to keep my skin clear of nasties... This exfoliating treatment is very gentle and it's one of those products that you literally can see working already next morning... It's a powder, you just 'sprinkle' a little on your wet palms and froth it up gently and then massage your face with it... It doesn't have any harsh grains as many exfoliators do... It feels very smooth and pleasant..
What I quite like about it is that you can use it as a facial too, just leave it on for five mins and wash it off with warm water as normally you'd do... As a facial or just a cleanser it leaves your skin feeling incredibly clean and next morning you wake up to this smooth and balanced skin! Amaz! !